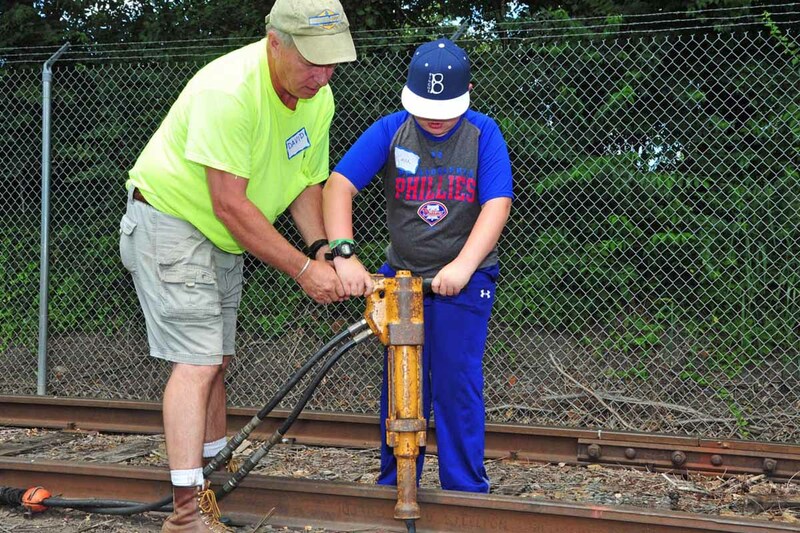 Has your 9- through 13-year-old son or daughter ever wanted to work on the railroad? Are they fascinated by locomotives? If so, then have them spend the day with us on the Wilmington & Western for a fun day of railroading! They'll get hands-on experience with welding, metal cutting and working on the tracks. We'll give them a guided tour of our Marshallton Maintenance Shops and give them an up-close look at our steam locomotives. They'll also get to ride in one of our red cabooses and on a track car, where they'll sit just a few inches above the rails! At the conclusion of the day, each camper will receive a t-shirt and certificate as an official railroad Gandy Dancer! Lunch is included. Before-care (8:00 to 9:00 AM) and after-care (4:00 to 5:00 PM) are also available for an additional cost (see below). Call our Business Office at 302.998.1930 to register your child. Cell phones and other electronic devices are not permitted. Close-toed shoes and long pants must be worn.